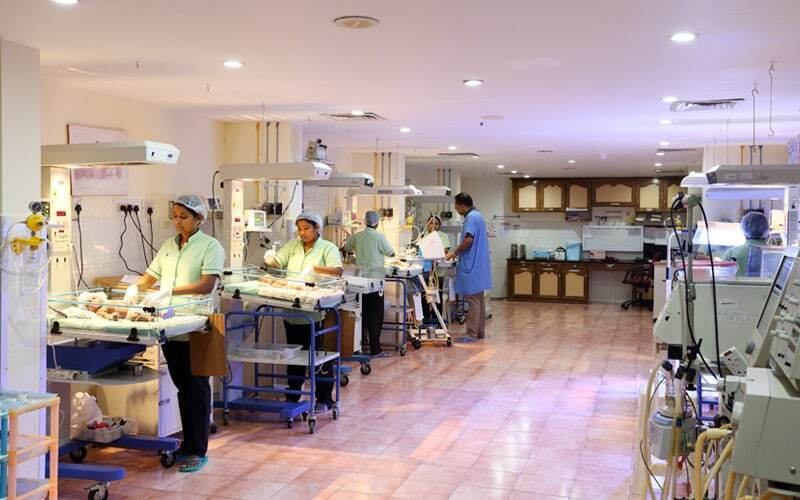 The Neonatal Intensive Care Unit (NICU) in EMC is a Level III category facility that is equipped to provide the highest standard of neonatal care with one-to-one patient care as per the globally accepted practice of grading care at NICUs depending on their facilities and service levels. NICU is a special area of our hospital where newborn babies who need intensive medical attention are admitted. This can be due to a serious medical condition that requires immediate special care or in most cases, premature babies. A baby is considered premature if born before 37 weeks of pregnancy (gestational age). Low birth weight is a common problem with premature babies and is one of the major causes of infant mortality. A low birth weight can also lead to increased risk of infection and other complications because a tiny body with less fat is not strong enough to eat properly, gain weight or fight infection. In most of the cases babies with low birth weight need specialized care in the NICU until they gain weight and are well enough to go home. The NICU combines advanced technology and trained health care professionals to provide specialized care for the tiniest patients. • NICU is a 30 bed facility located in a spacious and exclusive part of the hospital in a safe and infection free environment. • Availability of a qualified neonatologist for 24 x 7 observation and care. • The ICU is not open to visitors, though the parents are allowed to meet the child according to the guidelines set for the same. • Facility for parents to stay in the hospital to constantly interact with the care providers on the progress of treatment. The NICU is equipped with the following equipment for providing care and constant monitoring.